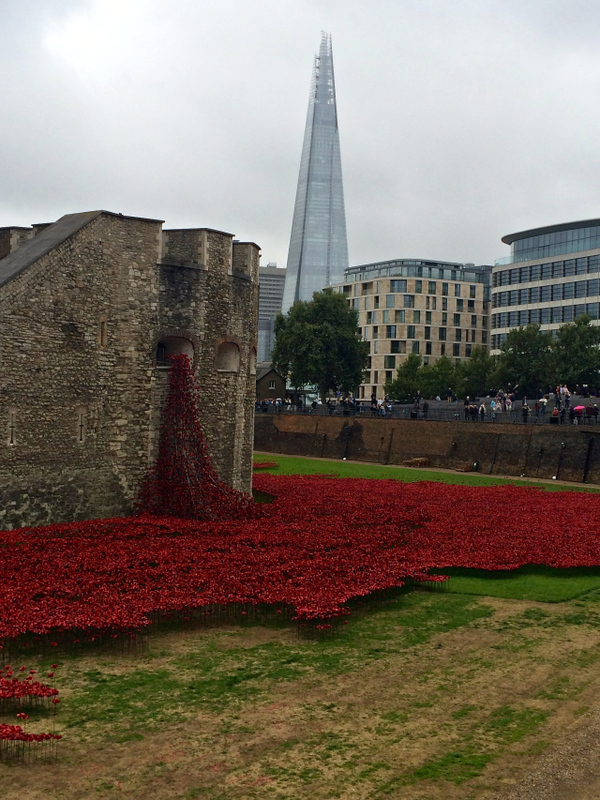 In honour of Remembrance, or Veteran’s, Day I thought I’d repost the photos from my visit to the Tower of London marking the centenary year of Britain’s involvement in WWI. 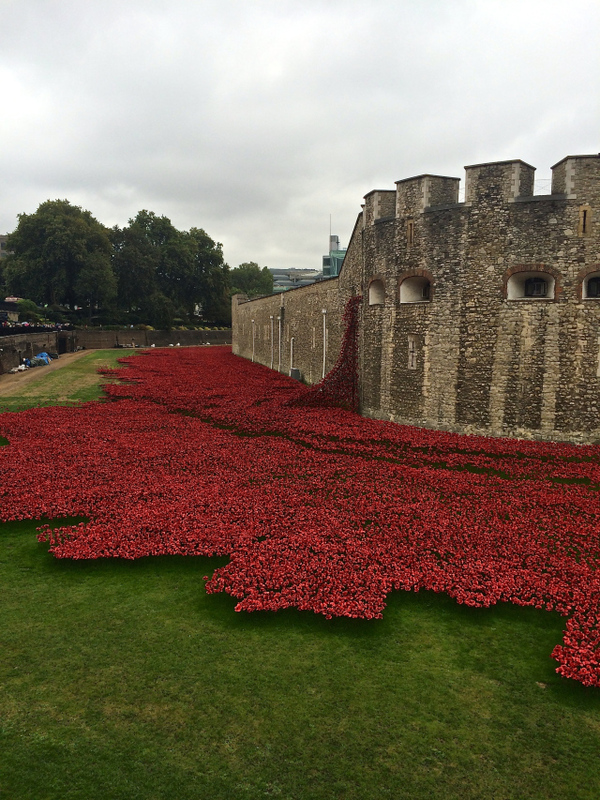 This incredible and moving display paid tribute to British and Commonwealth soldiers killed in the war. 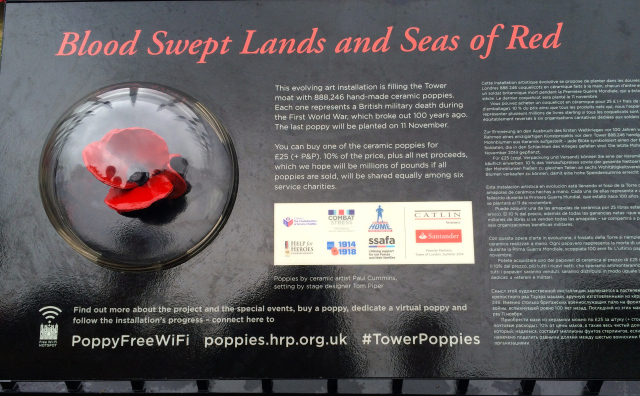 Ceramic poppies were ‘planted’ encircling the Tower of London, each poppy representing a fallen soldier. 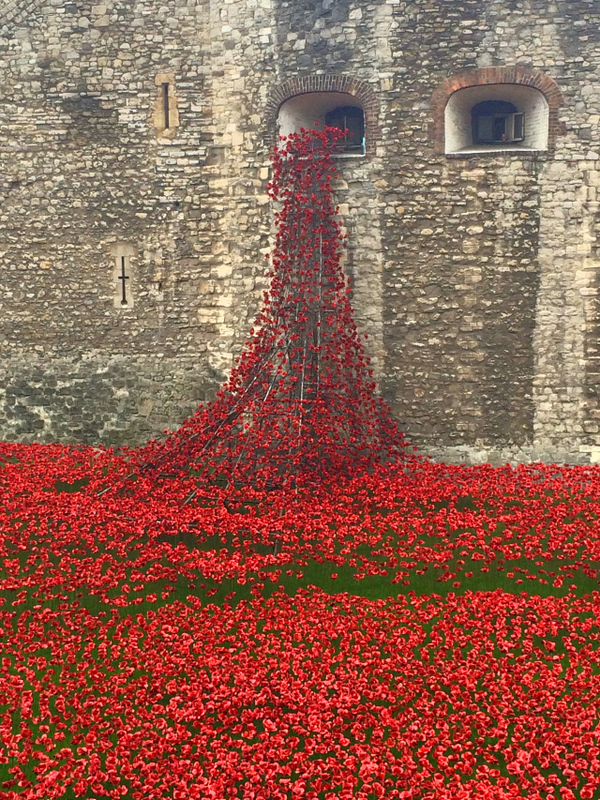 It was a spectacular and very poignant sight which grew and grew over the weeks, until there was hardly any green to be seen. Each day at sunset there was a Roll of Honour when the names of fallen soldiers were read out, followed by The Last Post.